The Chariot is the final card on the first level of The Quest (there are three archetypal levels to The Quest). The Great Fool has come into The Self and now embarks on the adventures and lessons inherent in the larger, social world, and necessary to the fulfillment of maturity both personal and spiritual. This is the key that moves us to discover our reflection in the larger world and, maybe more importantly, to challenge ourselves to see that whole mirrored within our own consciousness as parts of ourselves. What is in the One is in the whole. The Chariot knows that power comes from an internal vision; the challenge is to direct that energy into the life and unique expression that manifests the vision. The Chariot is focused outward from the power within. The first series of initiations are complete and The Chariot moves into the next phases with a primary wisdom: Paradox is whole. The Chariot drives internal vision without the need to attempt to resolve contradiction. Contradiction, the point of paradox, is the road beneath us. The Chariot is aware that life can be wasted in attempts to resolve what cannot be resolved, or this fact may be used, may be embraced as The Empress taught. Wisdom is the perception of paradox as whole. The Chariot knows this and now moves into the world to manifest a unique vision using this knowledge as fuel. 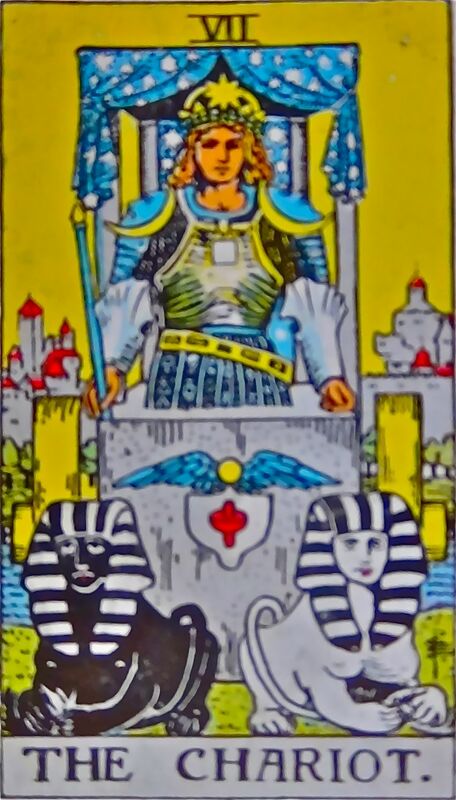 The Chariot includes the knowledge, holds the keys, from the first seven cards (includes The Great Fool) of The Major Arcana. This is the portion of The Quest where solidifying or accessing inner vision is crucial. A review of where you have been and what you have learned is a good place to begin or refine this vision. Use these questions from Rachel Pollack to tell yourself stories in your journal or use your deck to create a spread. 0 (The Great Fool) What am I leaping into at this time in my life? 1 (The Magus) Where is the energy, the magic? 2 (The Seer) What is secret or hidden or unspoken? 3 (The Empress) What is my passion? 4 (The Emperor) What are the rules I follow (possibly unconsciously)? 5 (The Keeper) What is the path laid out for me? 6 (The Lovers) How do I express my passion? 7 (The Chariot) Where is it all heading? 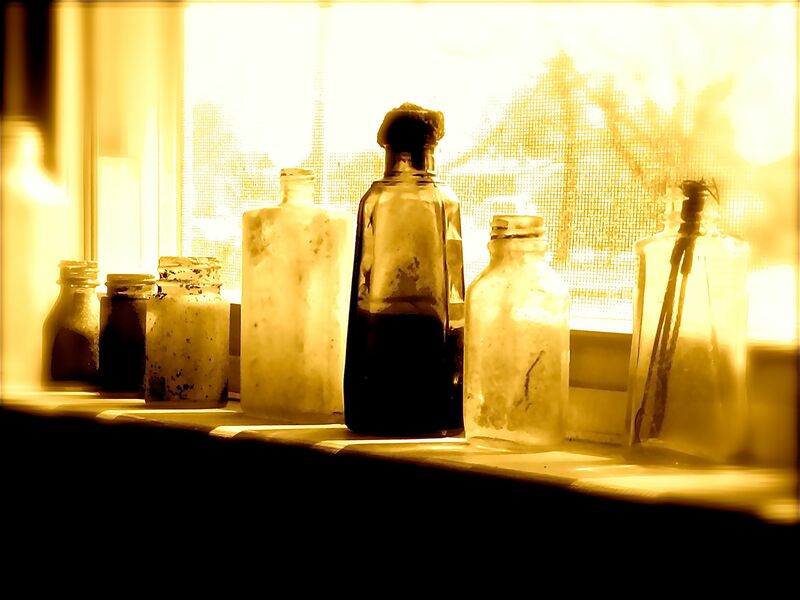 We make passage through all the archetypes several times throughout our lives and in smaller ways everyday that we live. Visit The Chariot often and ask these questions again and again. If The Chariot may be understood as a kind of rudder, then knowing how to handle it moment by moment is of vast importance. It can take a great deal of time to get back on track when we veer off our course.